Akrotiri breaks into the top 1000 board games of all time! 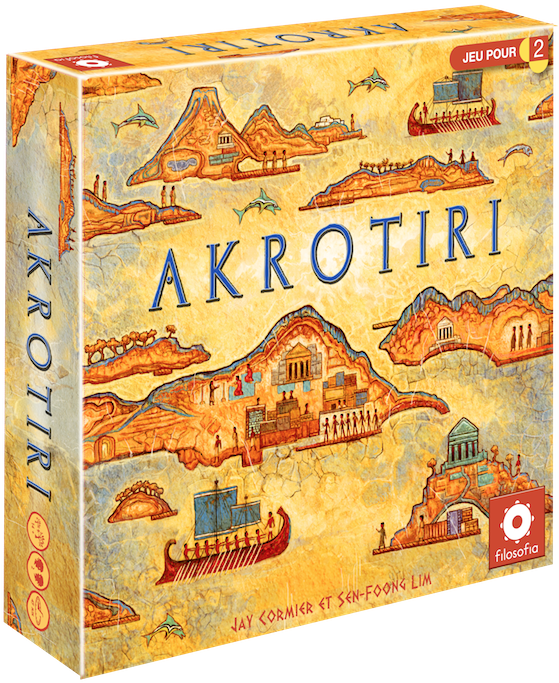 According to Boardgamegeek, which allows its users to rate the games they play on a scale from 0 to 10 – and then takes all the ratings and ranks all 79,000+ board games, Akrotiri has entered the top 1000! This is only our second game to enter the top 1000, with Belfort currently sitting at 217. 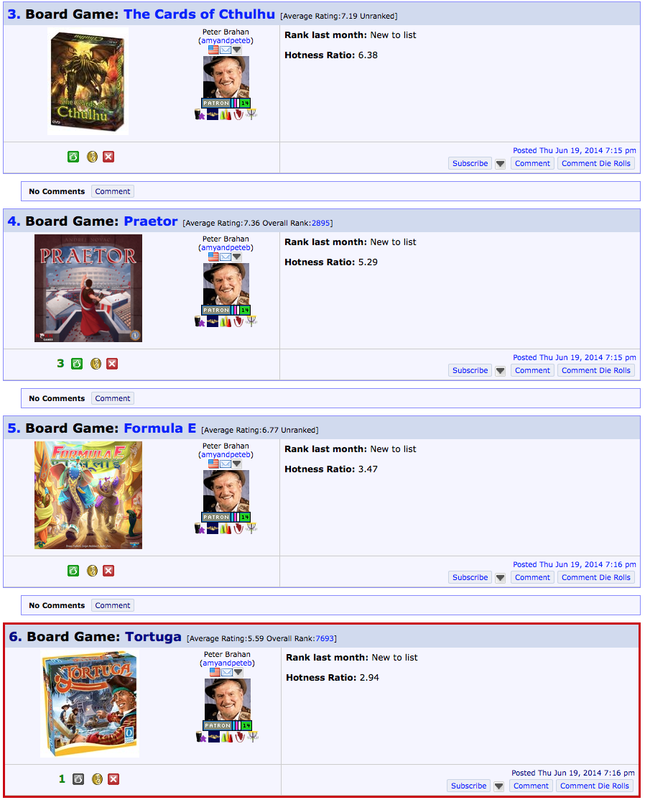 The more people that rate the game on boardgamegeek, the better it can rank (assuming people like it of course!). Currently, 580 people have rated the game and have given Akrotiri a 7.4 average. To put that in perspective, the number 1 game on Boardgamegeek has an 8.2 average. Based on the current rating average it has, there’s a chance it can get a lot closer to where Belfort is right now! It’s exciting and hopefully won’t be our last top 1000 game! Thanks to everyone who’s played our games and have rated them! Bearded Meeple reviews (and likes!) This Town Ain’t Big Enough for the 2-4 of Us! 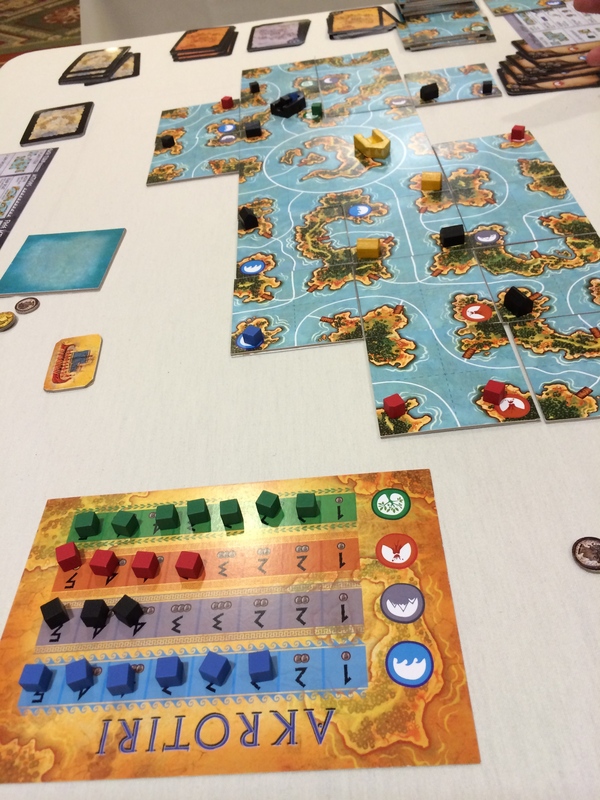 Is Akrotiri the best 2-Player Game of the year? It’s nomination time for the Annual Golden Geek Awards over at boardgamegeek.com! If you have an account, then feel free to head on over and start nominating games that you think are worthy of being nominated!! We had our game Akrotiri come out this past year and would be tickled fuchsia (that’s even pinker right?) if people thought it deserved a nomination for best 2-Player game, Best Artwork & Presentation (shout out to Chris Quilliams for the amazing work he did on this game) or heck, even best game. Whatever you think it’s worth! 🙂 Thanks for any support! Go nominate your favourite games of this past year! 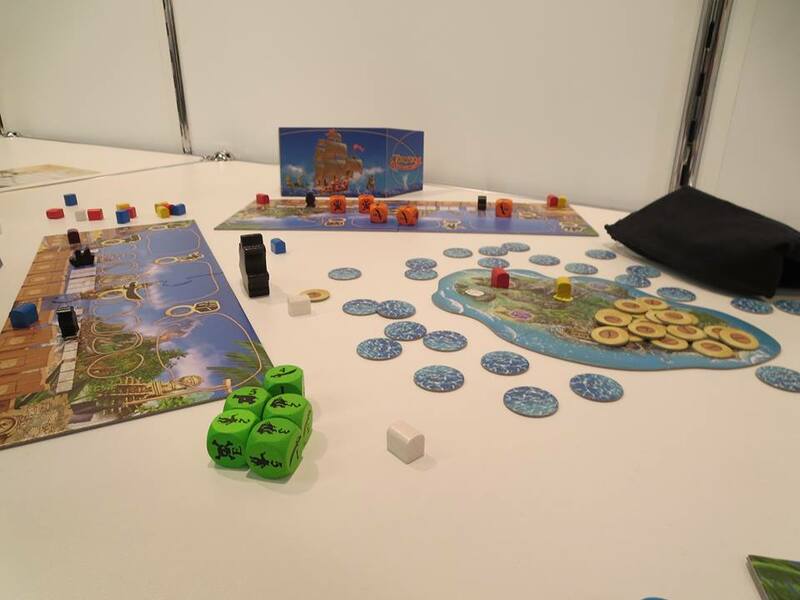 Great Review of our new game, Akrotiri! I’m hoping this will be the first of many reviews for our new 2-player Euro game, Akrotiri. The game kind of snuck into stores over the holidays and there hasn’t been much fanfare for it … yet..?! Here’s hoping more reviews will pop up online soon! For now you can read this review from BGG user, Blue Alien. Akrotiri Sold Out at Essen! Well Essen has come and gone and the Internets are hopping with what people played, what’s good and what’s not. A somewhat decent flag to wave if you’re a publisher is if a game sells out. Of course if they only brought 10 copies then that’s not a very impressive flag – but Z-Man brought 150 copies of Akrotiri and they sold out of all copies! That’s great news and it sets Akrotiri up for good word of mouth – assuming those mouths belong to people that like the game. So if you got a copy – consider yourself lucky! Please tweet or post about your thoughts on BGG, your own blog, or in response to this post. If you didn’t get a copy, no worries as it should start hitting distributors soon and then to retailers! Then everyone can bathe in the awesomeness that is Akrotiri (can you tell that I really like this game?!)! You too can buy This Town Ain’t Big Enough for the 2-4 of Us! You know that hit game that was super successful on Kickstarter but for some reason you missed out on it? Well now you can! This Town Ain’t Big Enough for the 2-4 of Us is now available on the BGG store! You can get a copy for only $5! Now that’s a bargain. Head on over to the BGG Store and check it out and buy a copy or twelve. 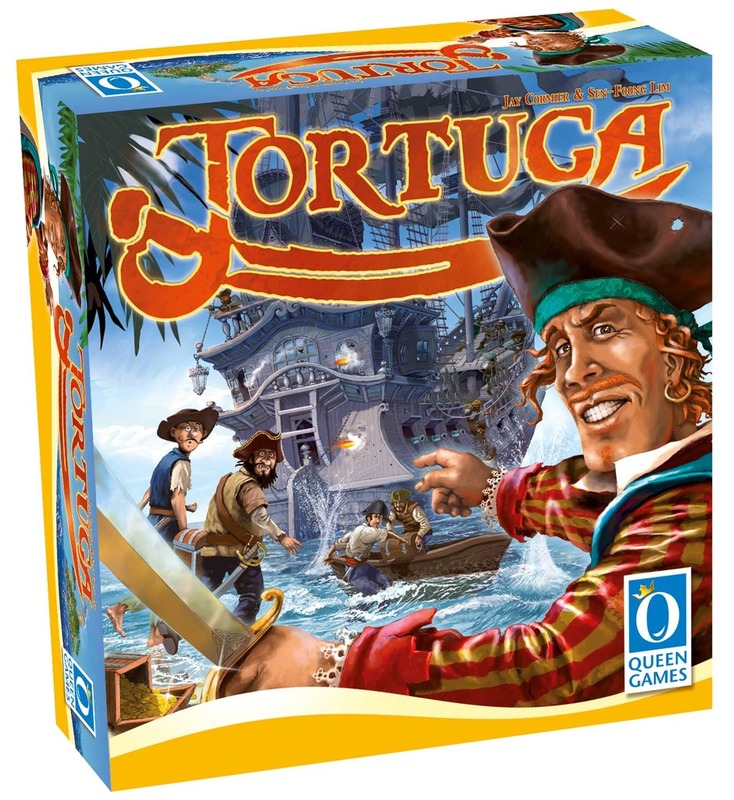 Tortuga review by Contest Winner! Thanks to Jacob Lee for the nice review! You can read his entire review here.